or in our office in Calle Gran Vía 22, 2nd floor (Monday – Friday: 10:00-19:00)! 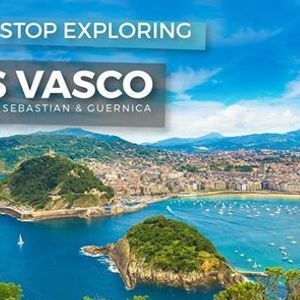 The Basque Country, or País Vasco in Spanish, is known for its majestic, natural beauty. It’s a place that demands exploration, and on this trip, not only we take you to the delightful and cosmopolitan main cities of Bilbao and San Sebastián, but also to History filled Guernica and Vitoria. With an eclectic mix of antique and modern architecture, Bilbao is the economic and cultural center of the northern region of Spain, and it is the capital of the Vizcaya province of Basque Country. 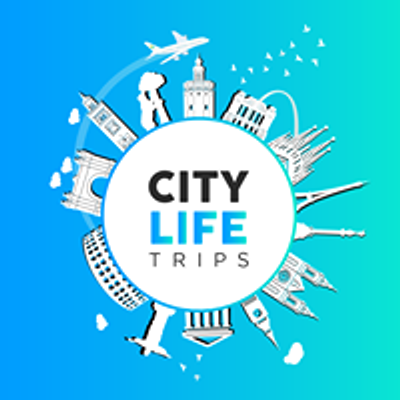 Our first day will be spent in this incredible city where an official local tour will take us through both the old town and new town. You will witness how tradition blends with modernity to give this city a truly remarkable feel. During your free time, don’t forget to visit the world famous Guggenheim museum, relax by the lush coastlines, and taste the mouthwatering pintxos! Next, we will continue to the summer capital of Spain, also known as San Sebastian. 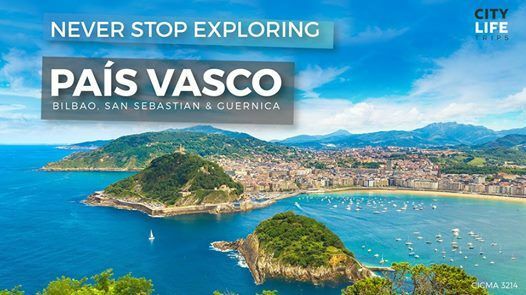 Our official local guided tour will take us through the beautiful streets of San Sebastian and all along the coastline to see everything from the Miramar Palace to the baroque church of Santa María. You will fall in love with this diverse city! Sweet cafés in the old quarter, gothic-style architecture, modernist seaside sculptures, soft beaches along the Playa de la Concha and Michelin-Star pintxos! Our last stop will be a Vitoria, Vitoria-Gasteiz – often shortened to simply Vitoria – has a habit of falling off the radar, yet it’s actually the capital of not just the southern Basque province of Álava (Basque: Araba) but also the entire Basque Country. Maybe it was given this honour precisely because it is so forgotten, but if that’s the case, prepare for a pleasant surprise. With an art gallery whose contents frequently surpass those of the more famous Bilbao galleries, a delightful old quarter, dozens of great pintxo bars and restaurants, a large student contingent and a friendly local population, you have the makings of a lovely city. *Please be advised that in accordance with our terms and conditions the City Card membership cannot be used to obtain discounts for anyone but the card holder.